Register TODAY for Summer June/July BYOP® & GoKids Youth Sports™ Program Space is limited! BYOP® 2019 Certification Course Sizzle from RNN BUZZ on Vimeo. BYOP® BLOG: See why not all 10 and under programs are created equal!! jump there! July 12,13,14, 2019 in Dallas for BYOP® Instructor Certification . Trainer alongside of your kid, however they must be under age 10. Email to see if space is available as we are limited to only 8-16 families. GoKids Youth Sports™ Certification Courses. July 16,17 & 18, 2019 in Dallas for GoKids Youth Sports™ Skills Trainer Certification. Players MUST be 7 and under or 8 and up. Email to see if space is available as we are limited to only 8-10 players. Edmond, OK dates coming soon! BYOP® Programs for ages 10 and under! Certified BYOP® Instructors in Texas, Ohio, California, Oklahoma, Arizona and Illinois. Spring Sessions 2019 will be OPEN with a minimum of 4 families. BYOP® - Lovejoy 2019 Winter/Spring Program (Monday) Ages 10 & under players & their parents. March 31, 2019 for Spring Session 2. BYOP® - Lovejoy 2019 Summer Program (Monday) Ages 10 & under players & their parents. BYOP® Summer Camp will again be unique as all families get to work with the new instructors that are receiving their BYOP® Instructor Certification. Times for each Session will be announced June 1. Want to know the difference between BYOP® and GoKids Youth Sports™ Check out why the BUZZ about both of these programs! 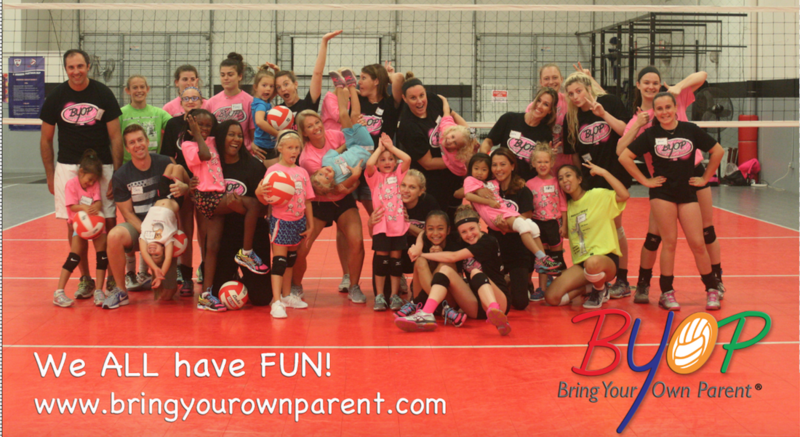 BYOP® provides all-year round training for ages 10 and under with their parents. As well as certification for BYOP® Instructors Worldwide. 2018 we created the GoKids Youth Sports™ Certification Program to assist teachers, parents, recreational directors/coaches and youth coaches wanting to get certified to become a 7 and under or 8 and up GKYS™ Skills Trainer. Whether you want a program training kids and their parents or you just want to become Certified Skills Trainer to teach the fundamentals skills. Both programs provide certification in each age group. Provide your email for Summer Newsletter and monthly BYOP® video clips and action photos. This unique course is one of a series to ensure that a teacher, parent or coach can learn how to effectively teach elementary/youth the 4 individual volleyball skills and basic game strategies. Check out what the BUZZ is about..BYOP® 101 Online Course? Purchase your training tools ...check our BYOP® Online Store for BYOP® volleyballs, spandex, drif-fit shirts, kneepads as well as purchasing your own VERT. interested in training and / or coaching kids ages 7 and under and 8 and up! Only 8-12 applicants for the 2019 Dallas GoKids Youth Sports™ Certification Course for GKYS™ Skills Trainers will be accepted. Newest program for teachers, parents, recreational and youth club coaches! Only 16 applicants for the 2019 Chicago GoKids Youth Sports™ Certification Course for GKYS™ Skills Trainers will be accepted. BYOP® players are learning how to develop this serve. Saw first in the 1964 Olympics where the youth today may not be strong and coordinated enough to execute the overhand serve. Parents your players ages 4-10 need to have success in an injury-free environment! NART™, 3QFitness, VERT, Sports Imports, Championship Productions, AVCA and Art of Coaching. that are not just ABOUT volleyball skills but Life Lessons!